Feb8 by John M. Buol Jr. In an effort to encourage more participation and mutually support our neighbors – Ted Carter, Match Director of Jacksonville Regional and Florida State Championship Matches, Art Rozier and Tom Davis of the Georgia Regional and State Championship Matches along with us here at The Mid Carolina Gun Club have teamed up to offer the category winners at each other’s 2017 matches a 10% discount on their registration fees at the 2018 Regional and State Matches. We will be sharing our winners lists from 2017 and will offer the discount at our respective Regional and State Championships for 2018. Would also like to do a little advertising for our friends to our west over in Georgia. The Georgia Regional Championship (Bulletin with Registration Form attached) will be held 6-8 April 2018 at the River Bend Gun Club over by Dawsonville, GA. Art, Tom and the rest of the gang at River Bend are building a great program and I hope you all will consider supporting their match. The Mid Carolina Gun Club monthly Precision Pistol matches will kick off again on 24 March 2018 (monthly Match Bulletin attached). The range will be ready and we hope you will be too. The South Carolina State Championship will, as in years past, be in June. This years dates are 22-24 June 2018 (Bulletin attached). It’s a great opportunity for yall to get dialed in and prepped for Camp Perry or just come out and enjoy the lovely South Carolina summer! Mark your calendars for the SC Regional 26-28 October 2018 and get your hotel reservations made. Jan31 by John M. Buol Jr.
Gale Henry Boehnke, age 86, of Hebron, IN, passed away Friday, January 26, 2018. Gale was an Illinois Bell, Electronic Engineer retiree. He married the love of his life Krystyna on June 26, 1987 in Illinois. He proudly served his country in the United States Army Reserves. Gale will be remembered as a loving husband, father and friend. Gale is survived by his wife, Krystyna Boehnke; son, Doug Boehnke; daughter, Lisa Boehnke; and many other loving family members and friends. He was preceded in death by his son, Christopher Boehnke. 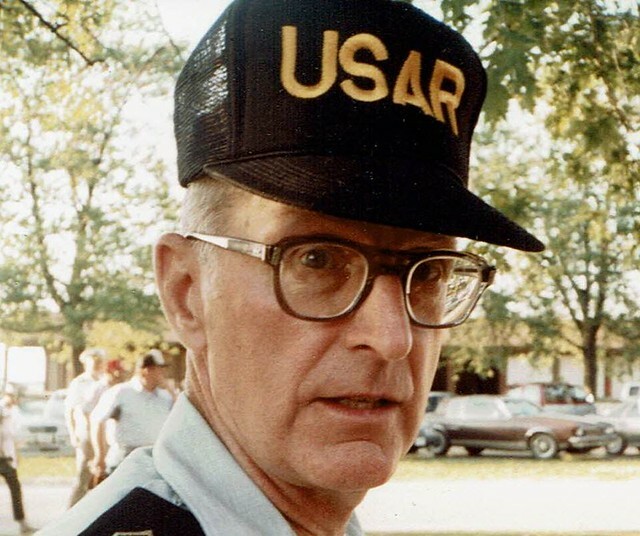 MAJ Gale H Boehnke (ret.) was a member of the USAR Pistol Team from 1970 to 1989. Gale was a true friend to many USAR Shooters, working behind the scenes to ensure that they received orders, supplies and pay. He encouraged us in our Shooting and Training performance and to hang in there while we waited on the Army pay system to work. He made visits to St Louis, to speed up pay when team members had reached the end of their rope. Gale will be missed. A memorial service for Gale will take place Thursday, February 1, 2018 at 3:00 p.m. at Rees Funeral Home, Winfield Chapel, 10909 Randolph Winfield/Crown Point, IN 46307, with Pastor Bob Burton officiating. He will be laid to rest at Abraham Lincoln National Cemetery, Elwood, Illinois at a later date. Memorial visitation will be held on Thursday, February 1, 2018 from 12-3 pm at Rees Funeral Home, Winfield Chapel. For more information, please call 219-661-2600. What follows is a more succinct breakdown.